An entirely new read aloud experience with countless natural sounding voices in different languages. The speech rate is individually adjustable for each voice and each language. 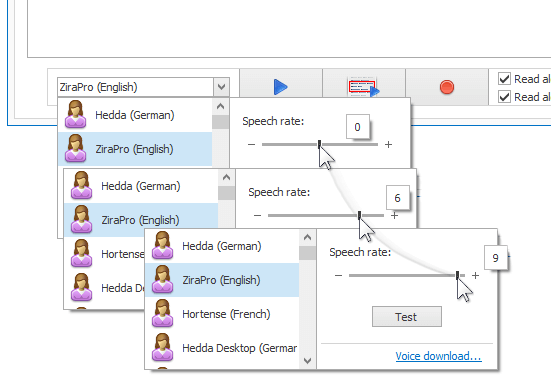 Download popular Text-to-Speech Software MWS Reader now and discover all features yourself! MWS Reader 5 will read aloud documents, emails, web pages and text from any application for you! Easily convert Text to MP3, send as an audio message and listen on the go.